"The Silk Roads" by Peter Frankopan is proving as intriguing as I'd hope. People, religion, trade, it all swirls through the book. Loving it. 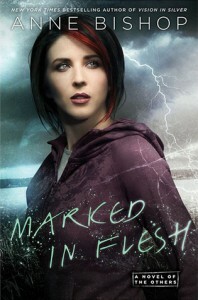 Waiting on the release of "Marked in Flesh" by Anne Bishop. It's a good month for paranormal romance. Also waiting on "The Undoing" by Shelly Laurenston and Seanan McGuire's latest ... something Choreography (too lazy to look it up).